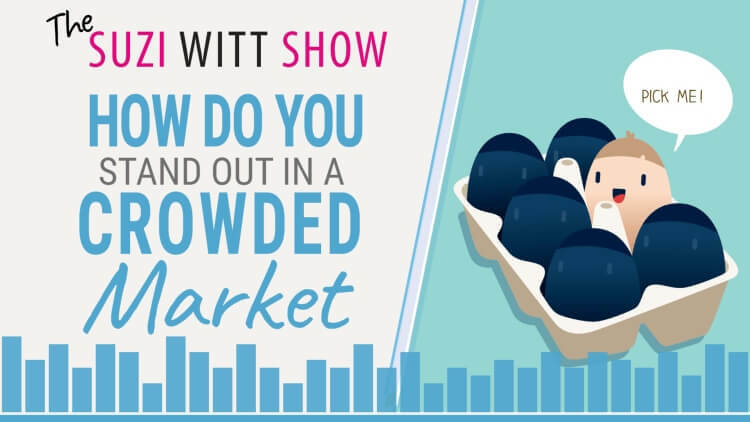 In episode 17 of the Suzi Witt Show, I am talking about how you work in crowded markets. How can you stand out more and differentiate yourself from all the other businesses that are out there. Listen in this week to find out 3 core things that you can do but which most people overlook. Find out the two options that you can take when deciding the future of your business. Learn why a simple trip to the supermarket may change your views and apply what you see to your business. Learn 3 core things you can focus on that will help you stand out more than your competitors. Understand why you need to think about things from the other side of the street. TSWS: 016 Five lies you tell yourself that stop you growing your business. TSWS: 002 Why you need a brand and not a business?